Here you can see the area of the circular structure, the concentration of pits and the new ditch. 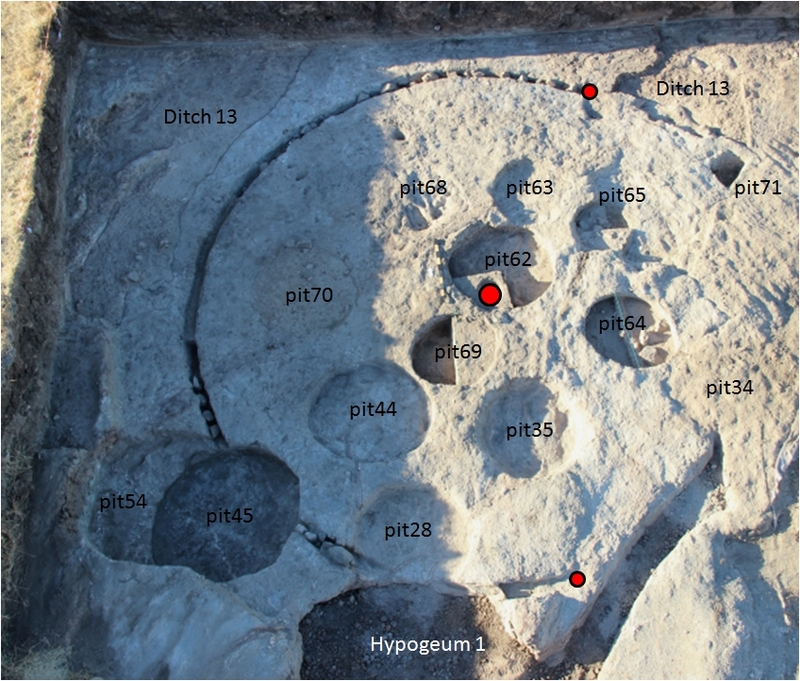 Here is de same image annotated (the small red dots mark the limits of the eastern overture of the circular structure and the large red dot the central post hole. 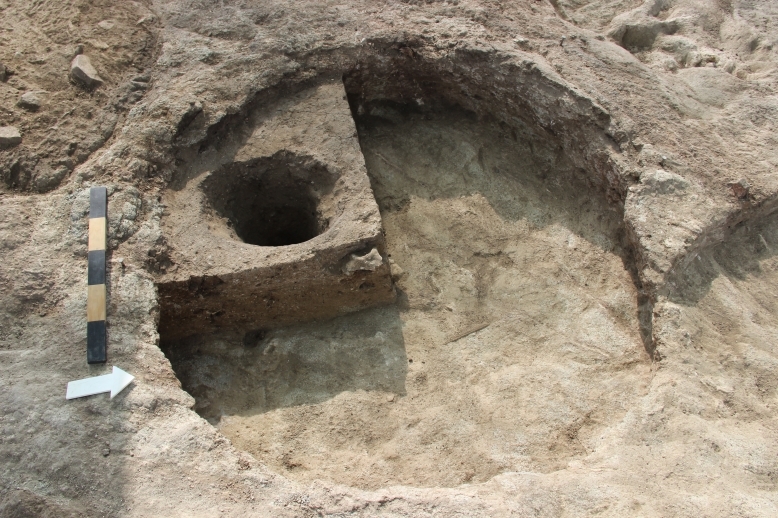 The post hole was excavated in the sediments of the Neolithic pit 62. To preserve the original hole we did not excavate a quarter of that pit. We covered the hole with plastic a put a post inside and we are refilling the pit. That is the best way to preserve the original hole and simultaneously make it understandable to the visitors by watching a post where originally would have been one.